For those of you who have read "Fearless HR" you will understand the role that Murray Thomas has played in my professional life. He is a retired professor from the University of California, Santa Barbara, my graduate advisor and friend for three decades. He is also one of the most productive persons on the planet, having written 18 books after retiring from UCSB. He is also a gifted artists; and you see here one of his renditions for your enjoyment. 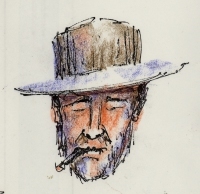 This is from his movie star collection; pretty nice rendition of Clint. Linda and I were fortunate enough to go to Australia and South Africa last year. This incredible picture is was created by Dulcie Long Pwerle from the Utopia region in Australia's Northern Territory. It is entitled Yam Leaf, which is one of most important types of bush tucker and a critical food source for the Aboriginal peoples in the area. The painting is a tribute to the spirit of the yam plant so that it regenerates year after year to feed the people. 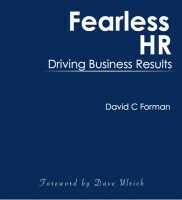 Fearless HR provides a treasure trove of information including a synthesis of over 100 research studies, 50 case examples of leading companies, 45 practical tools, a bibliography of over 150 titles and a Foreword by Dave Ulrich. Here I am in our San Diego home getting ready to shoot the "Fearless HR" videos. We had the best video crew ever, ranging in ages from 10 to....rather more senior members. 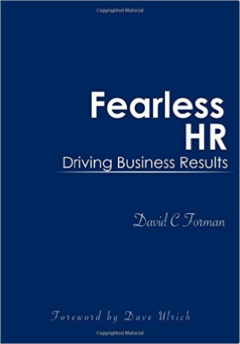 I have been pleasantly surprised to hear from HR leaders who have bought Fearless HR for their staff members and then conducted discussions around the book's key themes. As the author, I couldn't be happier that the book is being used this way, I would like to make a small contribution to these efforts by offering to do a webcast/phone conference for any HR teams that are using the book in such a fashion. Just contact me, we'll come up with an agenda and get it scheduled. 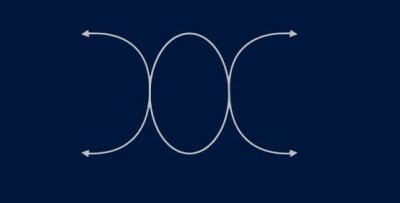 Another interesting insight from early feedback on Fearless HR is that people really like the structure of the book(Part 1 on the historical perceptions and Part 2 on how to drive business results) and are asking for similar treatments, for example, on Fearless Recruiting or Fearless L & D. I certainly did not think that this would become a series, as I need to catch my breath after the two years it took to write the original; but I am starting to do some presentations that extend the reach of the "Fearless" architecture.